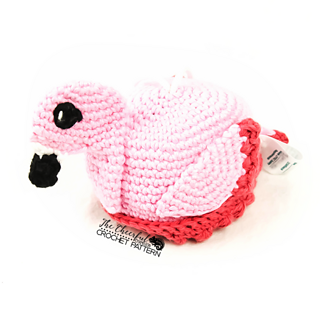 This fabulous flamingo is so bright and cheerful! Easy to Intermediate Skill level required. This pattern is both worked in the round and in rows and has some seaming and special stitches.Includes links and helpful pictures to assist. Uses worsted weight (4) yarn and a 4mm hook. Rosy’s body is approx 3.5” around. 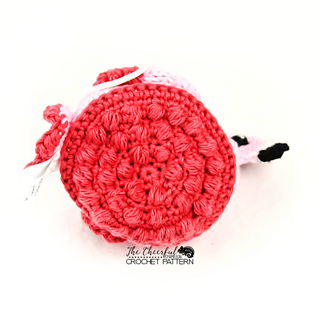 Pattern requires your choice of bath pouf (scrubby) or fiberfill (stuffy) filling, scissors, stitch marker, and yarn needle. 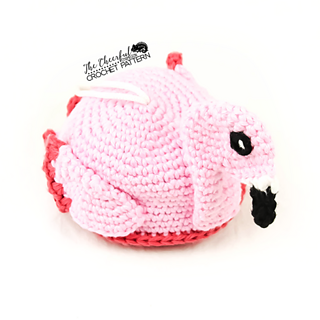 Pattern includes instructions for both the textured base (for bath scrubbies) as well as a solid smooth base option for a toy variant, the perfect size to adorn your favorite lovey size blanket. Play with sizing! As long as you adjust the hook accordingly you can create her in any weight yarn for varying sizes! 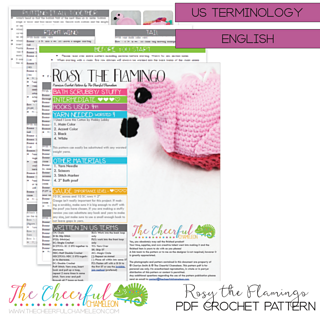 All of my crochet patterns go through testing and error checks prior to release, and come with full follow up support. If you ever find yourself in need of assistance or have any other questions or comments please do not hesitate to reach out. While I do my best to respond within 24 hours (or sooner), please allow up to 48 hours for a reply. You are welcome to sell any items made from this pattern, all I ask is that you please link back to www.thecheerfulchameleon.com, or reference design by The Cheerful Chameleon in your listing. This pattern itself, any photos, and text in whole or in parts is ©The Cheerful Chameleon & © Charlyn Smith, and not to be reproduced, redistributed, or displayed publicly in any way.